Uttar Pradesh is the largest state in India and by population alone would be the 5th largest country in the world. Lucknow being the capital of the state has seen some real action in the property market in the last few decades as successive governments have embarked on initiatives to promote the infrastructure in the city. While there have been many new developments of residential projects in Lucknow with the launch of many world-class townships and apartments, one question that comes to a prospective buyer’s mind is whether to go for a ready-to-move-in house or an under-construction one. There are merits and demerits of both the options and one need to weigh the options at hand to explore what suits them best as per one’s individual requirements. For a ready-to-move-in apartment, one knows what one is getting into. The property is ready and we-get-what-we-see. The teething issues are well-known and the amenities on offer are visible and apparent. One can check with other dwellers who are already residing in the area and take a call on whether to invest in the property or not. On the other hand, for an under-construction property one does not know for sure whether the builder would deliver on the promised amenities and what would be the quality of the house on completion. Other factors that become important in the decision include the fact that one doesn’t need to shell out rentals if one is moving into a ready-to-move-in apartment as against an under-construction property where sometimes, there is a double burden of rental as well as loan EMIs that derail the financial plan of an investor. In case of an under-construction property, there may be inordinate delays in delivery as against the promised timelines. This becomes a real financial problem for the investor as most of the payments are taken in the initial stages of the construction and thus make it impossible for the buyer to move out of the project in case of extraordinary delays thus blocking his or her ability to look at an alternate option. On the other hand, the cost of buying a ready-to-move-in apartment are higher than an under-construction house sometimes making it prohibitive for a buyer to invest in such a property. There are, however, silver linings to both the situations. In case of an under-construction property, if one chooses to buy their home from a reputed builder like Godrej Properties or Tata Housing or Purvanchal Construction who have an unblemished record of timely deliveries, one can be rest assured that there would be no delays in delivery as against the promised timelines. 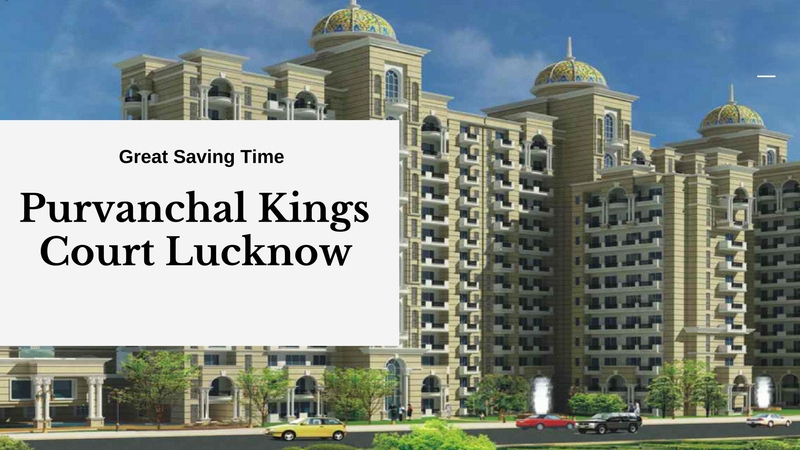 A case in point, especially at Lucknow, is the highly pitched residential project by the name of Purvanchal Kings Court which is coming up at Vinamra Khand in Gomti Nagar, which one can consider without much worry about timely deliveries. And, if we talk about the catch in the cost of buying a ready-to-move-in apartment, what can be said with certainty is that not all of them are actually that expensive that it may shoot-out of one’s expectations or budget. While Lucknow has both the options for a buyer, one needs to evaluate one’s finances and timelines to take a prudent call on whether to go for an under-construction or a ready-to-move-in property.